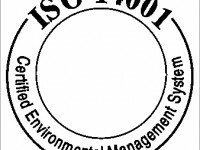 Here at The Hunting Dynasty towers we’re interested in a short conversation about the challenges of year-on-year ISO 14000 / 14001 improvements with any businesses who’re certified. We really don’t need much time or effort – a quick phone call, or short email. Even a tweet (doesn’t get much shorter than that!). We would love to hear from you on 0844 357 9072, read from you at info@thehuntingdynasty.com, or a tweet here, or read a short note or request to call you in the message stream on this page. Thanks for all your comments – inbox is stuffed! And to those who want help and advice we'll get to you soon.